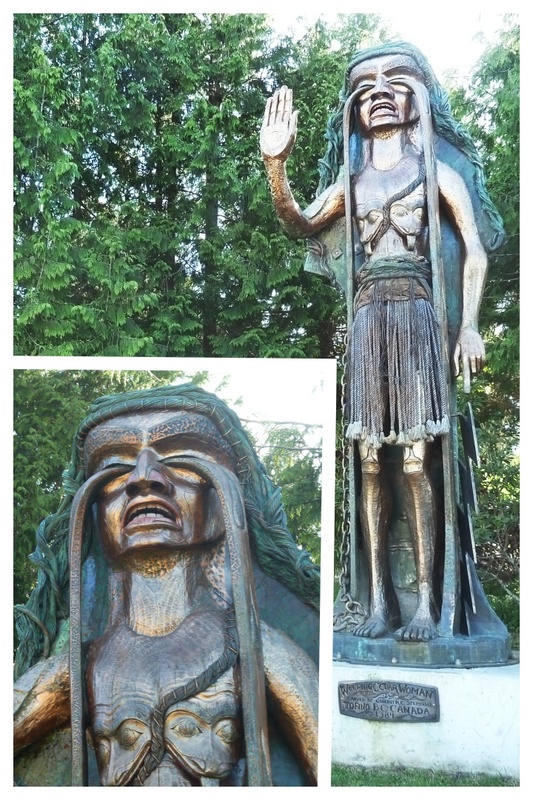 Weeping Cedar Woman is the name of this sculpture. She stands about fifteen feet tall. She's probably weeping because her breasts are the heads of serpents and two long serpents spill out of her empty eye sockets. Plus she's probably hungry, judging from her emaciated appearance. The sculpture has some history attached to it which you can read about here and here. Bizarrely, this piece of art currently overlooks the children's park at Tofino.